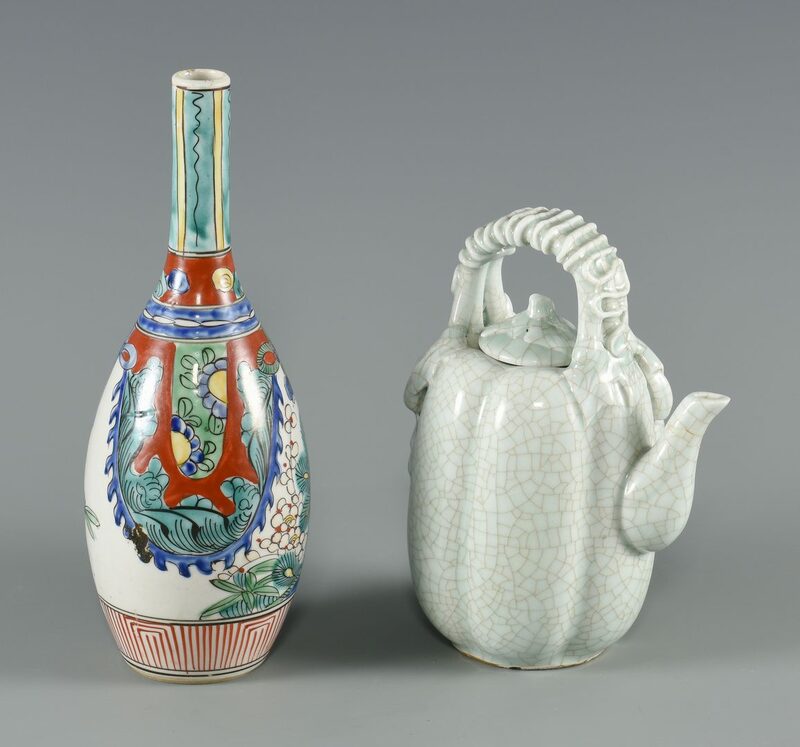 6 Assorted Asian Porcelain Items. 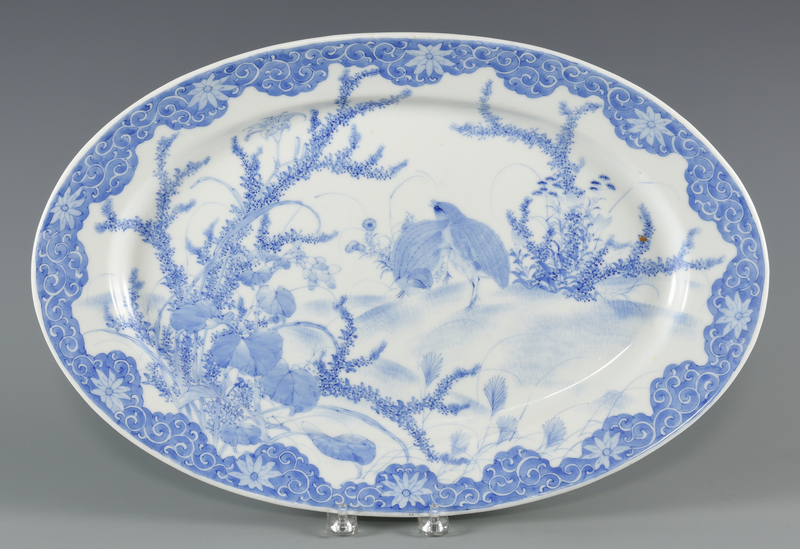 1st item: Chinese porcelain blue and white oval platter having bird and foliate decoration with a floral and scrolling vine border. 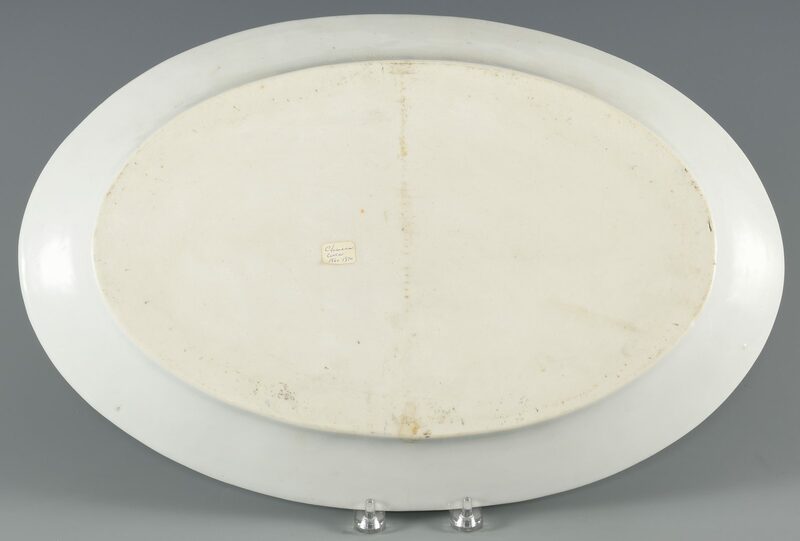 11 7/8" H x 18" W. 19th century. 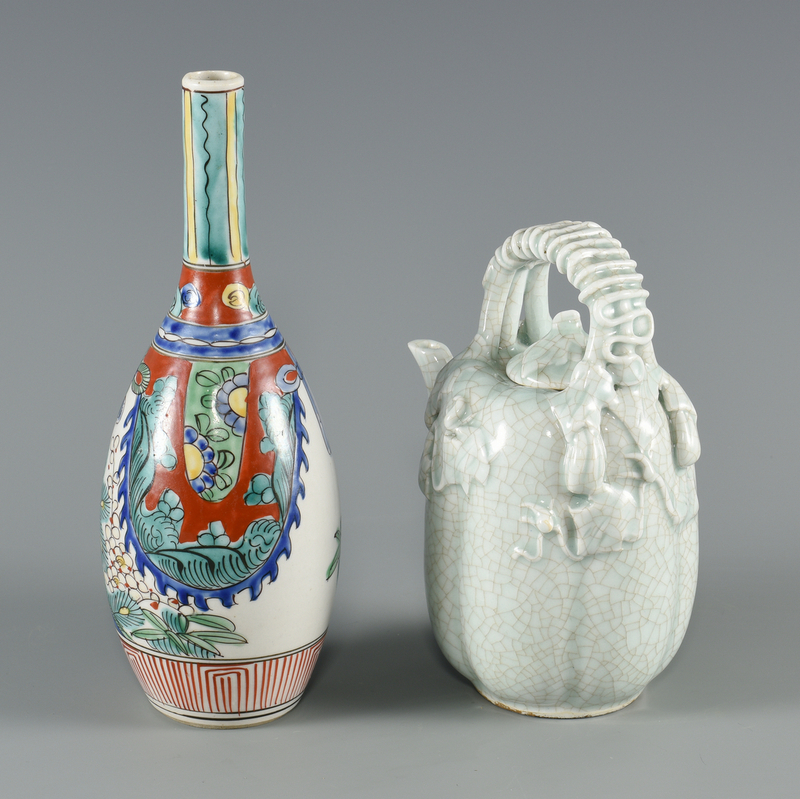 2nd item: Japanese Imari bottle form vase. 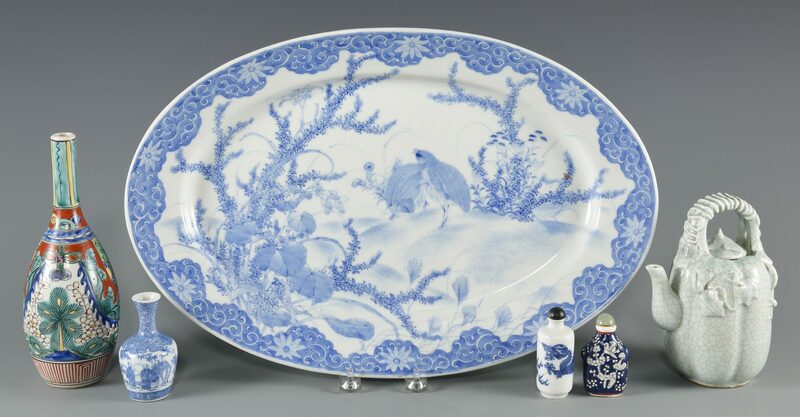 8 5/8" H. 19th century. 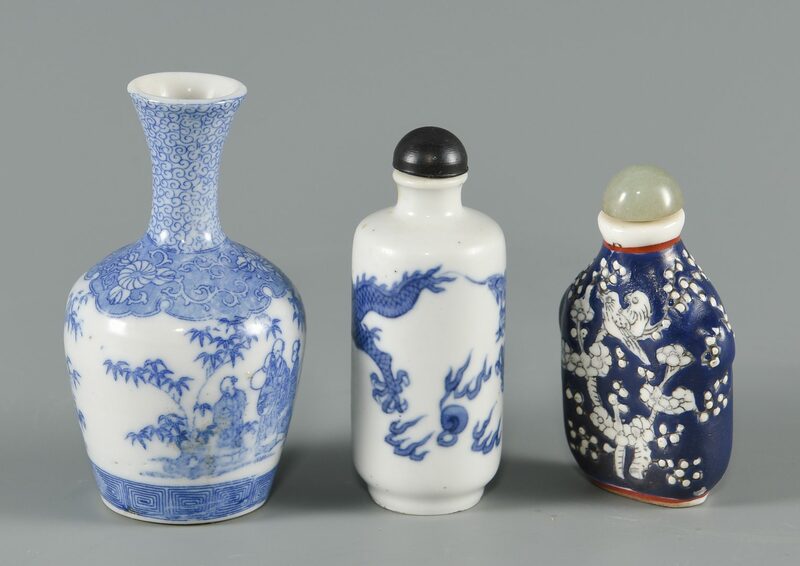 3rd item: Chinese miniature blue and white bottle form vase with flaring rim. 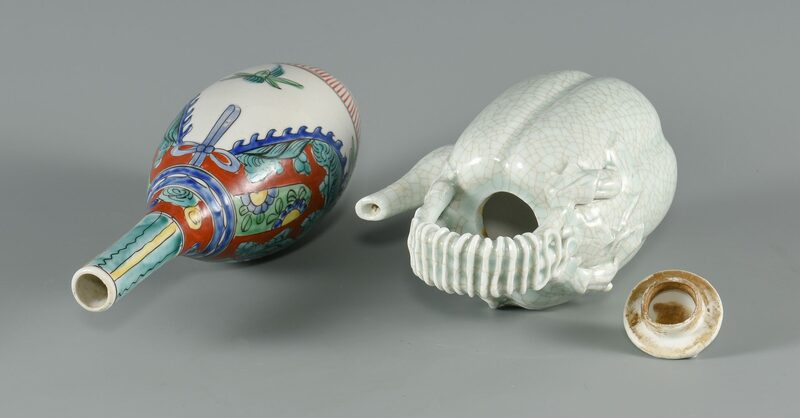 3 1/4" H. 20th century. 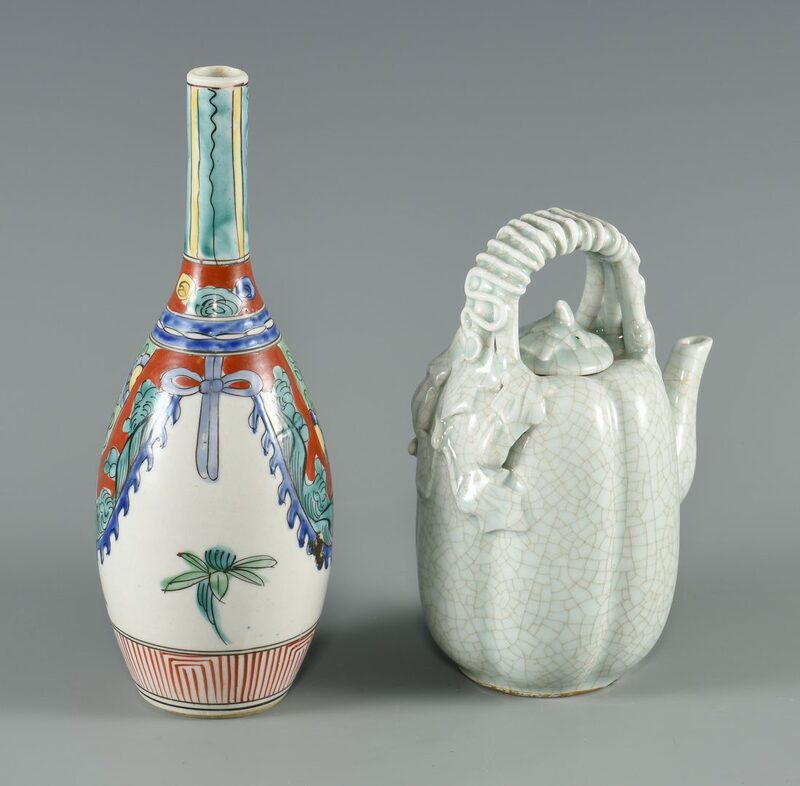 4th item: Chinese celadon crackle glaze gourd form teapot with raised leaf and vine decoration and naturalistic handle. 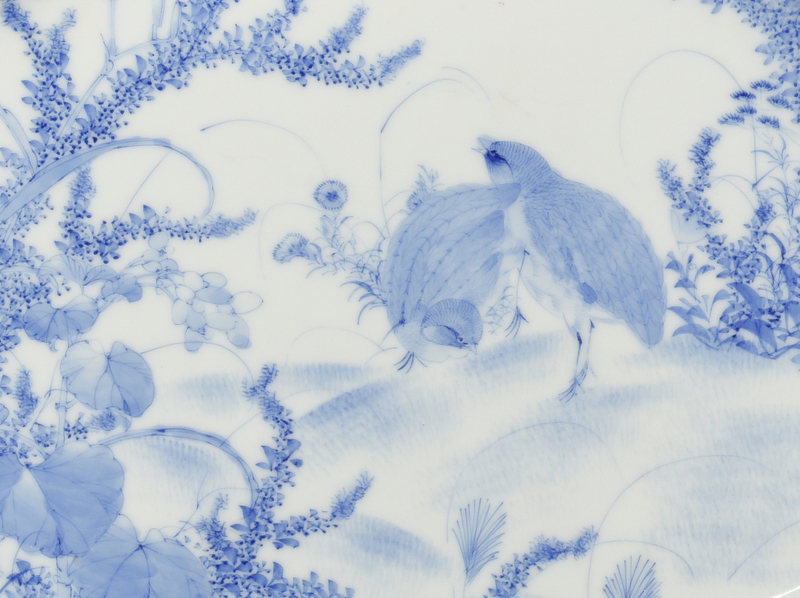 6 1/2" H. 20th century. 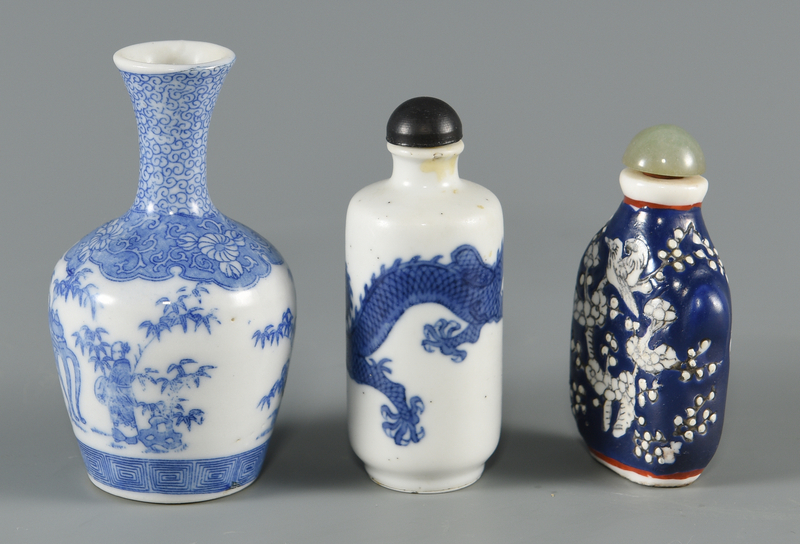 5th item: Chinese blue and white porcelain snuff bottle, cylinder form with dragon decoration. 20th century. 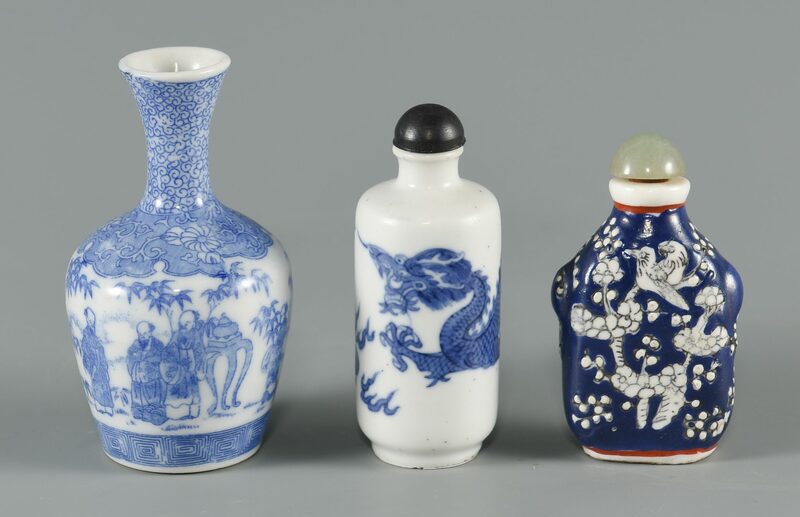 3" H. 6th item: Chinese porcelain snuff bottle, flattened ovoid form, with blue and white enameled decoration depicting a bird amongst flowering prunus branches. Red character marks to the base. 2 3/4" H. 20th century. 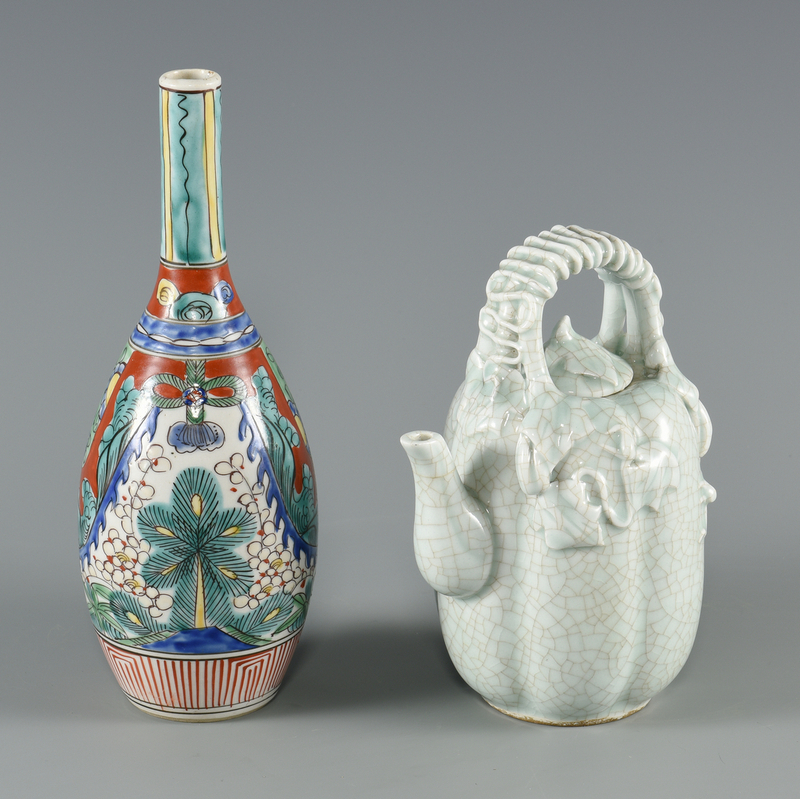 Provenance: Knoxville, TN collection. CONDITION: Slight wear/chipping to rim of vase. All remaining items very good condition.